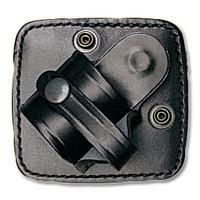 This loop is one of our most popular leather Speedcuff holsters. You have a choice of vertical, 45 degree or horizontal positions but you also have the advantage of the very 'user friendly' double safety strap which is really easy to release in a hurry. Weight 122 grams.